The College of Psychic Studies states that “the nature of our work has evolved to incorporate the more general exploration of a consciousness beyond matter. The core of our studies retains a strong focus on the development and understanding of mediumship, psychic ability, and healing – as well as the growing capacity of science to explain and explore these phenomena. As one of the oldest establishments of our kind, we endeavour to keep in touch with any new developments and educational methods, to continue the College’s influential and distinguished history. Our teaching staff, sensitives, healers & counsellors have extensive training in their respective fields and are dedicated to helping with personal, psychic and spiritual development. 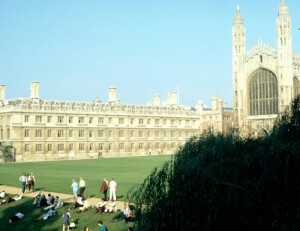 Certainly the College of Psychic Studies supports its claims; in fact the college is one of the best training institutes for the development of paranormal faculties, may be because it encourages its students to explore their “personal journeys” as well as developing their metaphysical skills. The College of Psychic Studies is proud of its high level tutorship. It is also one of the best places to sit down during a lunch break and peruse an extensive metaphysical library that boasts information from channelling to healing. The College of Psychic Studies also organises some “hot” study courses. You can do workshops on Archangels, Astrology for Psychics, Connecting to Spirit, Healing Courses, Crystals, Deepening Trance, Developing Mediumship, Exploring Psychic and Creative Potential Using Art to name but a few and all at Introduction, Intermediate and Advanced Levels. Of course if you have been born with “the gift” you might feel you do not want to attend a course, but you can still connect to others like yourself there and swap information. The College of Psychic Studies issues brochures three times a year, “in November for the Winter/Spring term of the following year, in March for the summer term and in July for the autumn term.” These brochures can be downloaded from the internet. The College of Psychic Studies records all their lectures, which are available in audio cassettes, MP3s or compressed WMA audio files that can be ordered from the website. Indeed some galvanising speakers have lectured at the College of Psychic Studies, including the famous astronaut Edgar Mitchell, who stunned his audience with treaties on Consciousness and the Evolution of Humanity. There have also been lectures on Soul Retrieval, Holding and Emanating Light, the Mysteries of Atlantis and Egypt, the Quantum Holograph, the Significance of the Pyramids, the Magical Self, the Mayans and more. This high level information demonstrates how far paranormal knowledge has come over the last twenty years or so and the great significance quantum/string theory explanations of consciousness have had on the new metaphysics. It leads us to understand why such highly respected individuals such as Edgar Mitchell are classified as pioneers of their time. The College of Psychic Studies is a real inspiration to apprentice healers, natural psychics or tarot readers alike, in fact any individual seeking an answer to the puzzles of existence and the wonders of an ever mysterious universe.